Raspberry Ketones – Effective Weight Loss or Effective Marketing? Raspberry ketones are probably familiar to anyone who follows the Dr. Oz show, or actually weight loss trends in general. Pure raspberry ketone has been shown to inhibit fat storage in mice, but does that support the wisdom of taking a raspberry keytone supplement? As much as I am on board with the idea of using nutritional supplements, there are times when I question whether the research actually supports some of the conclusions made by experts in the weight loss field. To be sure raspberries, in fact almost all berries have very beneficial antioxidant compounds that promote health in a variety of ways. Compounds in berries such as tannins, anthocyanins, and phenols, are synergistic, which means they work better together than alone. They help support proper gene expression and act as antioxidants protecting against damaging oxidative stress. anthocyanins - recent evidence indicates they are anti-inflammatory, and may even protect the brain and nervous system from degeneration. tannins - tannins have antioxidant and anti-inflammatory effects, and show potential antibacterial, antiviral, and neuroprotective effects as well. stilbenoids - stilbenoids (resveratrol is one of them) may protect against diabetes, cancer, and heart disease. phenolic acids - these are polyphenols that have antioxidant, anti-inflammatory properties, offering protection against cancer, heart disease, and diabetes. These compounds and their effects are the real benefits to consuming berries as food or in their supplement form. Pure raspberry ketones are very expensive to isolate and extract, therefor a raspberry ketone supplement (if it is pure) will be very expensive! Raspberry Ketones and Weight Loss? There is weak evidence that raspberry ketones really help in weight loss. The only evidence of a scientific nature comes from animal experiments in which the ketones administered to test animals comprised up to 2-3% of their body weight! This is a massive dose and at the price of raspberry ketone supplements would be so expensive as to not be worth it! I don't like to discourage nutritional supplements, but this one doesn't look like a winner in the weight loss department, based on the evidence that we have so far. I think it could be of value for the antioxidant benefits, but for weight loss you would be better of with something like green coffee extract ,which has demonstrated actual weight loss in properly conducted human trials. An 8 week experiment conducted on rats to test the effect of raspberry ketones on nonalcoholic steatohepatitis. Note that this was not specifically a weight loss study! After 8 weeks it was shown that the rats given raspebbery ketones had better blood lipid profiles and inflammatory markers. The ketones protected aginst nonalcoholic steatohepatitis, and dyslipidemia, which is another term for poor fat metabolism. The most you could say about the ketones is that they favorably alter fat metabolism in rats when given in high doses (up tp 2% of their body weight). To say this carries over to weight loss in humans is a stretch at best. Even if it did it would require that people consume the equivalent of 1,362 grams of pure raspberry ketones or 25 bottles per day of a raspberry ketone supplement. Who in their right mind would take that amount, not to mention being able to afford it! 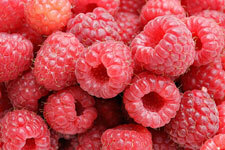 I would recommend that you include raspberries in your diet on a regular basis. You can add them to something like a fruit salad, or juice them in something like a nutra bullet. You will not get anywhere near the potency of nutrients that you would get in supplement form, but you will get the flavor of the berries which are quite enjoyable. So you can do both as your budget allows! To include raspberry ketones in your daily supplement program for their antioxidant benefits actually makes sense. It appears to be very safe and well tolerated, and at 500-1,000 mg per day a raspberry ketone supplement probably will provide some quality antioxidant protection. However the weight loss claims being made for it don't seem plausible to me. 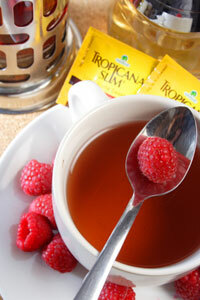 Another option is red raspberry leaf tea, which is a great form to add to your tea choices. You can rotate it through with green tea, white tea, and a number of other herbal teas which have proven health benefits. Red raspberry leaf tea is said to be beneficial during pregnancy, but I would caution anyone that they should check with their doctor in regards to herbs they take during pregnancy. Teas are very enjoyable beverages and I do like the idea of getting beneficial herbs and such as part of a pleasant and normal routine activity like tea drinking. The more you can incorporate good nutrition into your daily routine, the better.